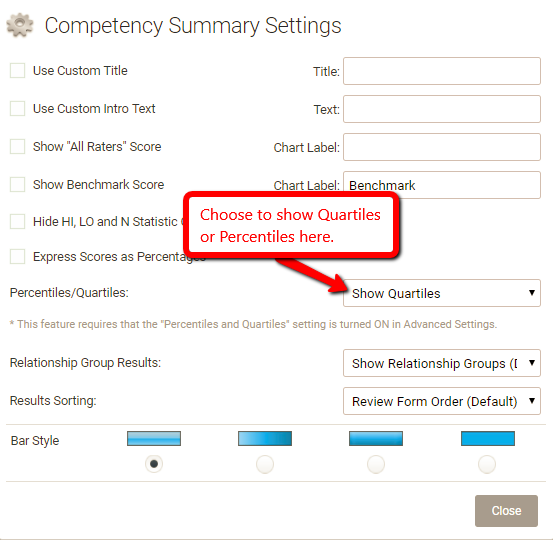 Percentile and quartile scores can be computed for any Enterprise EchoSpan 360 project and will appear in select competency and item-level report components as configured. Percentiles and Quartiles can be displayed in reports to help Targets and or their Managers identify rank and segment Targets based on an All Raters average for each project. Expand theReports section. Then, turn ON the Percentiles and Quartiles feature. 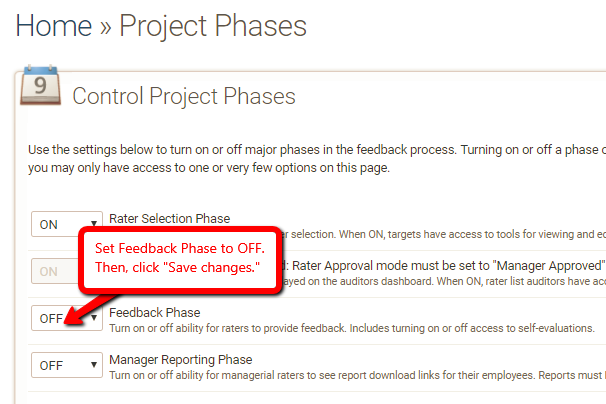 After all feedback has been collected, from the drop-down menu, select Project >> Phases and turn the Feedback Phase to OFF. Note: The system will automatically compile percentiles and quartiles for your project when you turn the feedback phase OFF. When this process is complete, you will be notified via email. Reports containing percentiles and quartiles should not be run until you receive confirmation that the percentile and quartile computation process is complete. EchoSpan does not recommend reopening reviews once reports with percentiles and/or quartiles have been generated and distributed as additional feedback can change the final percentiles and/or quartiles for a project. From the drop-down menu, select Reports >> Edit Report Templates and open the custom report template (link) where you want to display percentiles or quartiles. Click “Settings” to the right of the “Competency Summary” and/or “Individual Items” report components. Select “Show Percentiles” or “Show Quartiles” from the Percentiles/Quartiles setting dropdown. Click “Save Page Order” at the top of the page. Note: Percentile and quartile results can also be exported using the data export titled "Percentile/ Quartile Export." For more information on how percentiles and quartiles are calculated please visit our calculation guide here.